The C.H. 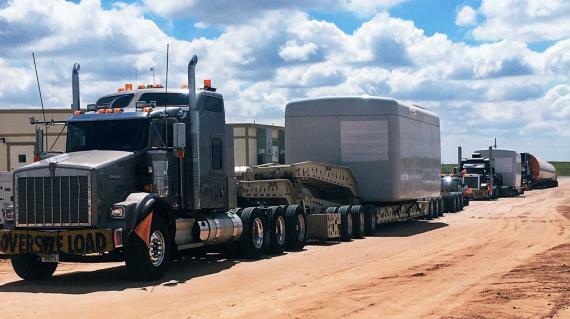 Robinson project logistics team was kept busy in 2018, delivering components for six new wind farms in the U.S.
Over the course of 23 weeks, C.H. 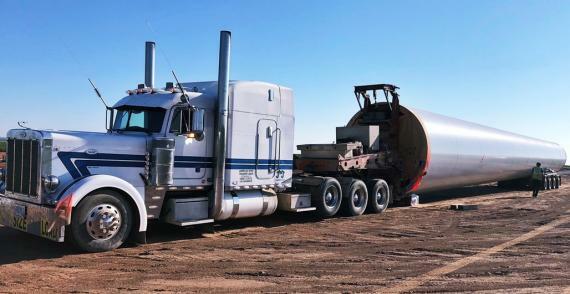 Robinson delivered 176 wind turbines utilising 1,544 truckloads. The volume totaled 579,670 cbm and consisted of 51,320 MT of blades, towers, nacelles (machine heads), and hubs. C.H. Robinson's experienced team of experts was deft at dealing with the multiple origins and their skilled project managers were on-site dealing with any upcoming issues. Road construction occurred without warning along some routes, requiring the C.H. Robinson team to update their existing permits. On-going truck and driver shortages continued to be problematic, but thanks to strong relationships within the industry, C.H. Robinson mitigated any delays. At times, bad weather produced poor site conditions and made deliveries to these remote locations difficult. However, their experienced on-site project managers were able to continue to execute deliveries even during times of heavy rainfall.